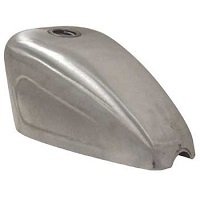 Be sure to also check out out blog for the lastest in Motorcycle News & Product Reviews. We post news and create product reviews from the top manufacturers in the industry. So click the link below to read up on everything 2 wheel related. For all of us living in regions where we can’t ride all season long, proper winterizing and storage with save us a ton of time and aggravation in the spring when we get that itch to just turn the key and hit the road. Here is our quick guide to winterizing your bike and maybe a few upgrades so you can hit the road as fast as possible on that first nice day. Every bike needs to be properly lubricated. We all know what happens with no lube (Now get your mind out of the gutter). Lubrication in the engine and on the drive chain keeps the moisture off and the rust away. Check out our line of lubricants from the top manufactures. Putting your bike in a public storage unit or just in your garage? Then you need a bike cover. 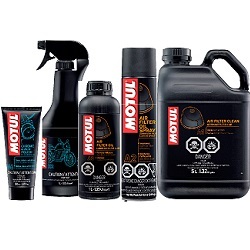 All the little dirt gremlins and dust will cover your bikes over the winter months getting into everything. 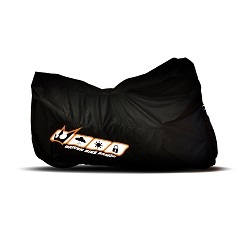 Why not keep it clean and covered with a Driven Racing high quality bike cover. So you road her hard all season and you go to inspect your chain and sprockets only to find them showing signs of wear. What better time to give her some love with an upgraded chain and sprocket kit so she can give you’re her best next season. 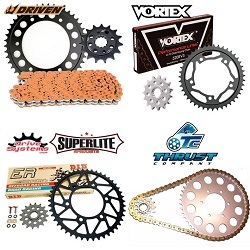 Checkout our Sprocket & Chain kits from all the top manufacturers. Don’t go into your garage next season only to turn the key and find our she is dead. 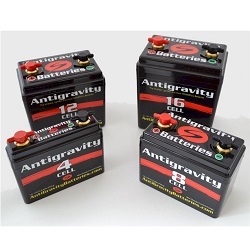 Whether you need a new battery or a battery tender to keep her charged during the winter months, we have you covered. 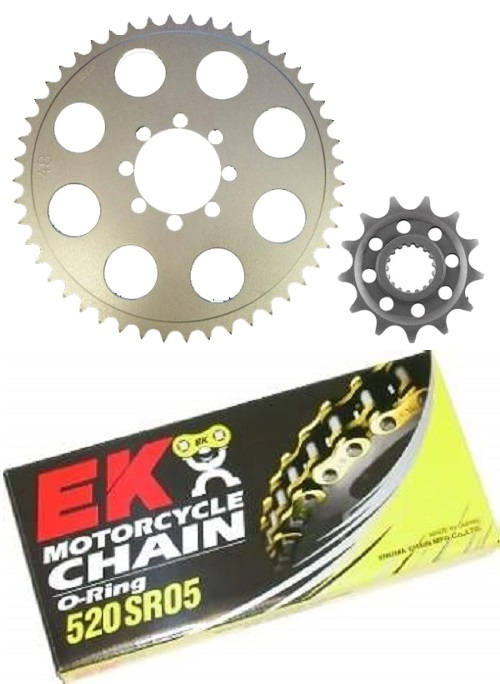 So you see everyone talking about and selling 520 Converison sprocket & chain kits for motorcycle, but what is it all about? A lot of the older bikes and the larger displacement bikes from 750cc and up use a 525 or 530 pitch. 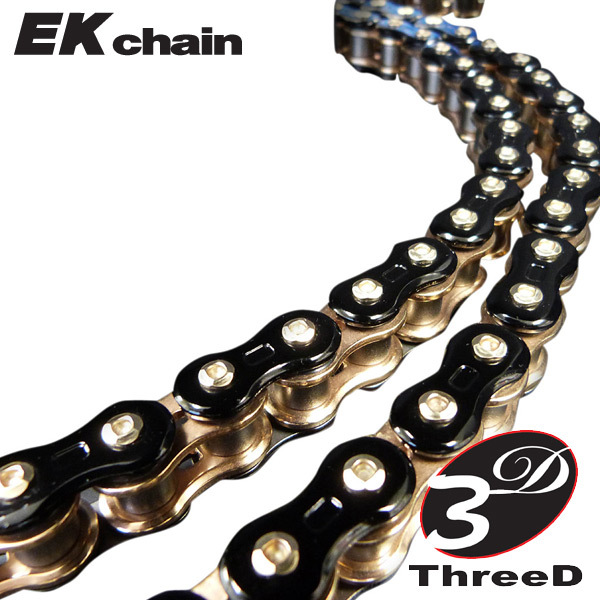 These 525 and 530 pitch chains and sprocket can be heavy and after all the, for speed or racing you are looking to lose weight. 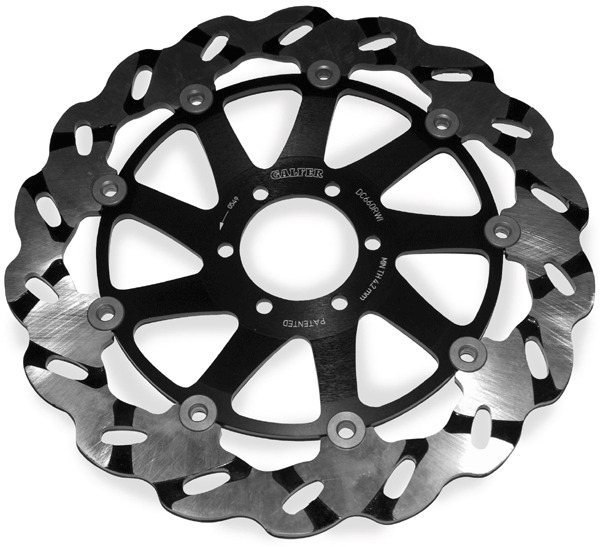 Drive Systems RS7 Superlite Steel Sprockets have become one of the #1 sprockets used on the Street & Track. 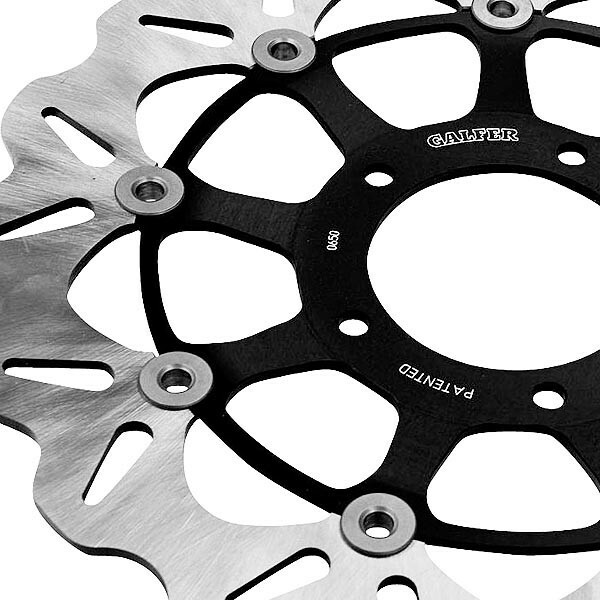 The unique RS7 spoke design offers superior strength with maximum weight reduction making it the ilghtest steel sprockets available on the market. 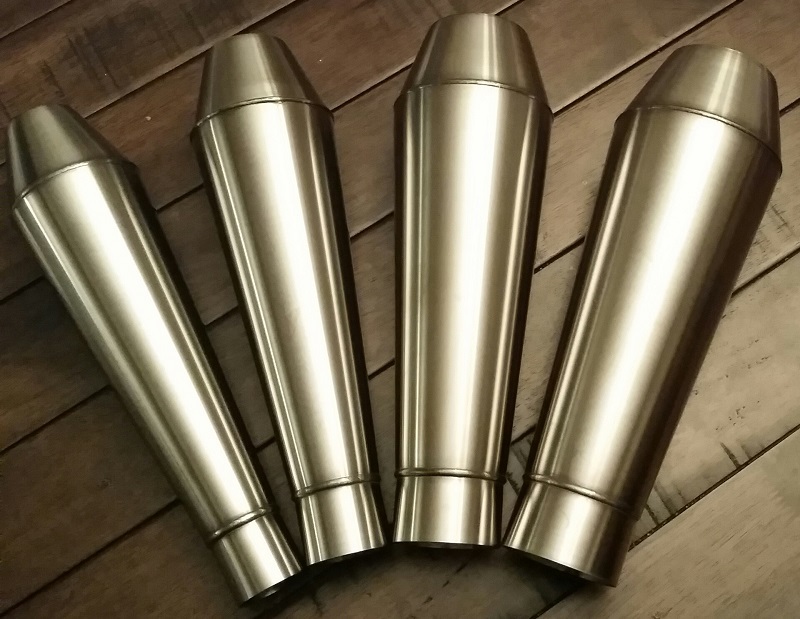 We have been using and installing these RS7 kits for years and have had nothing but excellent results. 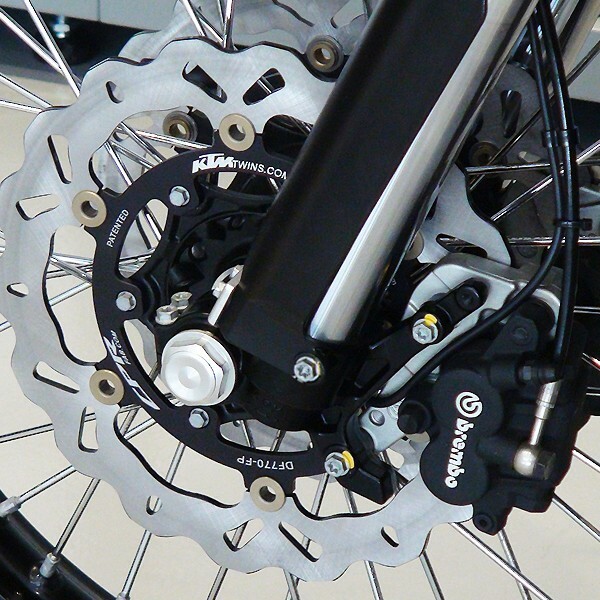 All RS7 sprockets are CNC machined to precise OEM specs making them fit excellent. All their sprockets offer a lifetime warranty on them in the event of a sprocket failure which we have yet to see any one of these failure. 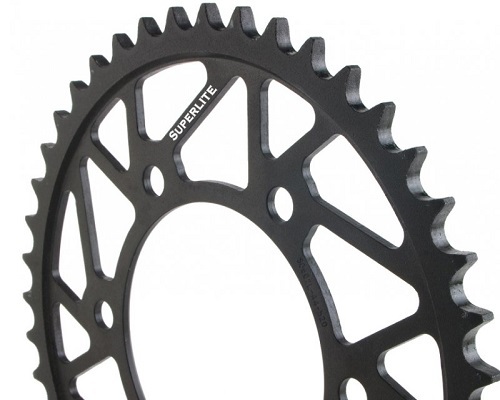 Superlite Extreme Duty From sprockets are manufactured to be the lightest most durable countershaft sprockets available today. All XD Series fronts are made from case hardened chromoly steel for high durability and then drilled and lightened for less rotating weight. New Superlite XD Series fronts are so strong, we warranty them for life! 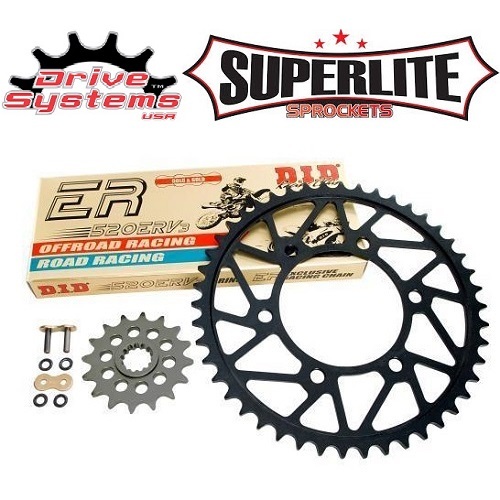 If you are looking for a new 520 sprocket & chain kit for your street or track bike, look no further than the Drive Systems RS7 Kits. You will not be disappointed, we promise. 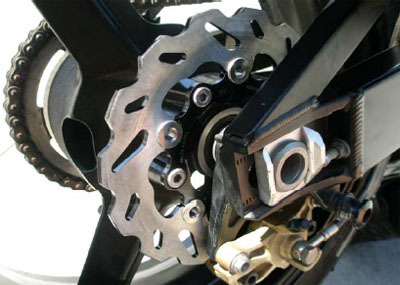 Are you looking to relpace those old rusted heaving sprockets & chani on your vintage Honda? Well we have the solution for you. 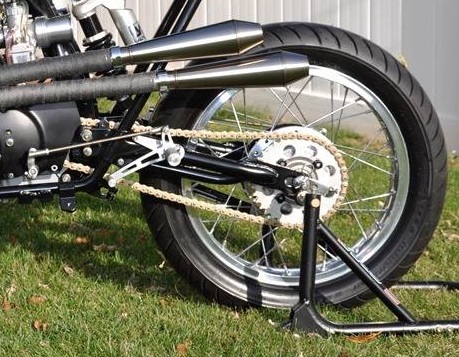 We are proud to introduce our 520 Sprocket & Chain conversion kits for the Honda CB350, CB360, CB400, CB450 & CB750's. The 2 main advantages of uses these kits is that you can now run a modern O-ring or X-Ring chain without hitting the engine case and you reduce your rotating mass substantially. For all you CB350 & CB450 guys, this weight reduction in the rotating mass translates to more power on the trac or street. 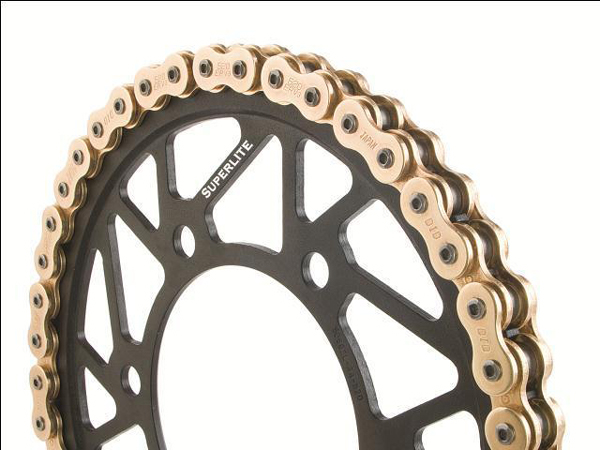 We have several sponsored riders in AHMRA running our 520 Sprocket & Chain conversion with great success. One of these racers is Cindy Hill of Norton Manx Racing who is running a CB400F with our kit. 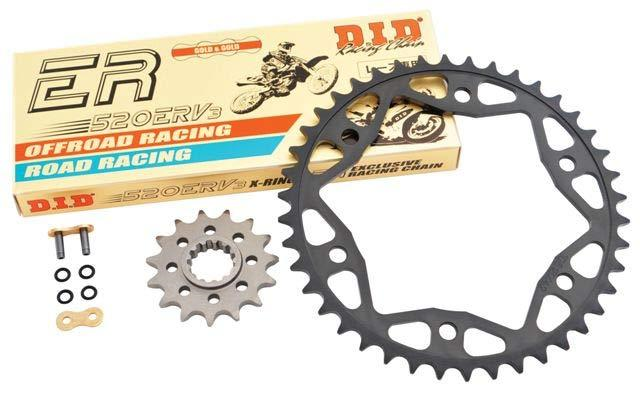 Driven Racing USA has realy stepped up the motorcycle parts game over the last few years. With the release of their Driven D-Axis product line, Driven has invested 100's of thousands of dollars in new equipment, research and development. This investment has paid off with nothing but spectacular results and high end products. 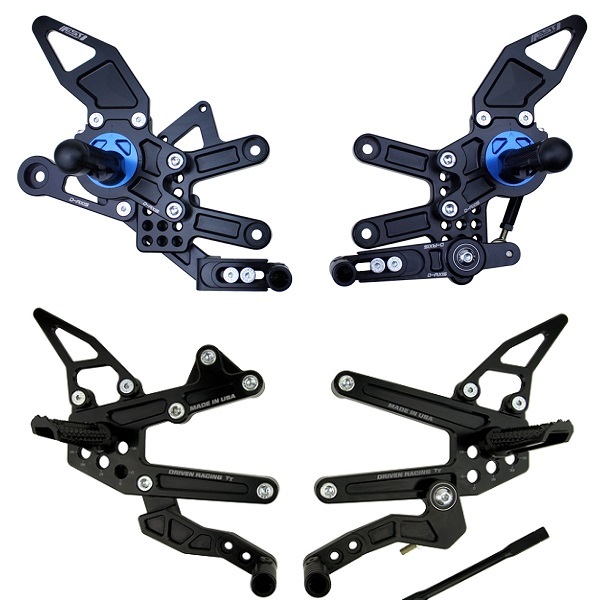 One of the best Driven products to come out of this is their Driven D-Axis & TT Style rearsets. 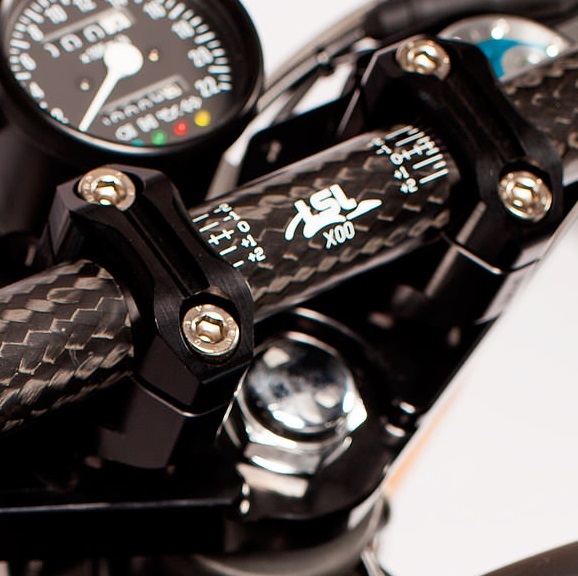 The Driven Racing D-Axis rearsets were designed to offer almost infinite adjustment abilities to suit your riding style. 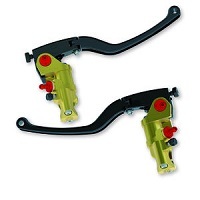 The Driven Racing TT rearsets are a track / race inspired design which has been tried and proven. 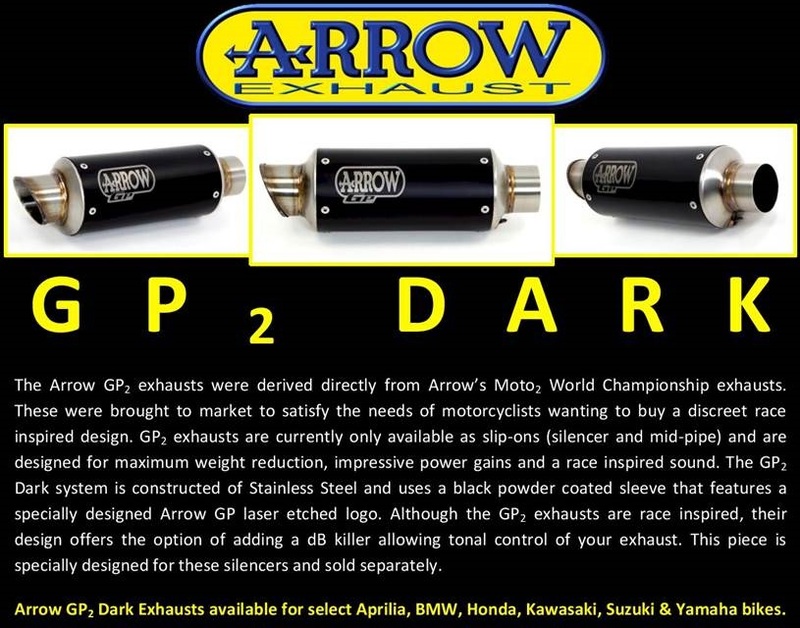 Arrow GP2 Dark Edition Exhaust Released!!!!!! 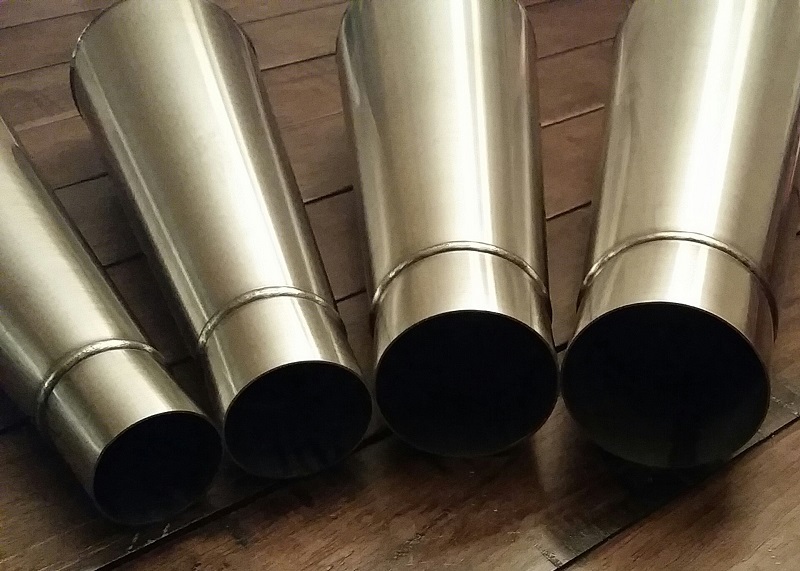 The Arrow GP2 exhausts were derived directly from Arrow’s MotoGP World Championship exhaust systems.These were bought to the market to satisfy the needs of motorcyclists wanting to buy a discreet race inspired design.GP2 exhausts are currently only available as slip-ons (silencer & mid pipes) and are designed for maximum weight reduction, impressive power gains and race inspired sound. 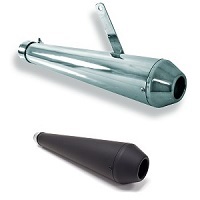 The Arrow GP2 Dark System is constructed of stainless steel and used a black powder coated sleeve that features a specially designed Arrow GP laser etched logo.Although the GP2 exhausts are race inspired, their design offers the option of adding a dB killer allowing tonal control of your exhaust system.This piece is specially designed for these silencers and are sold separately. 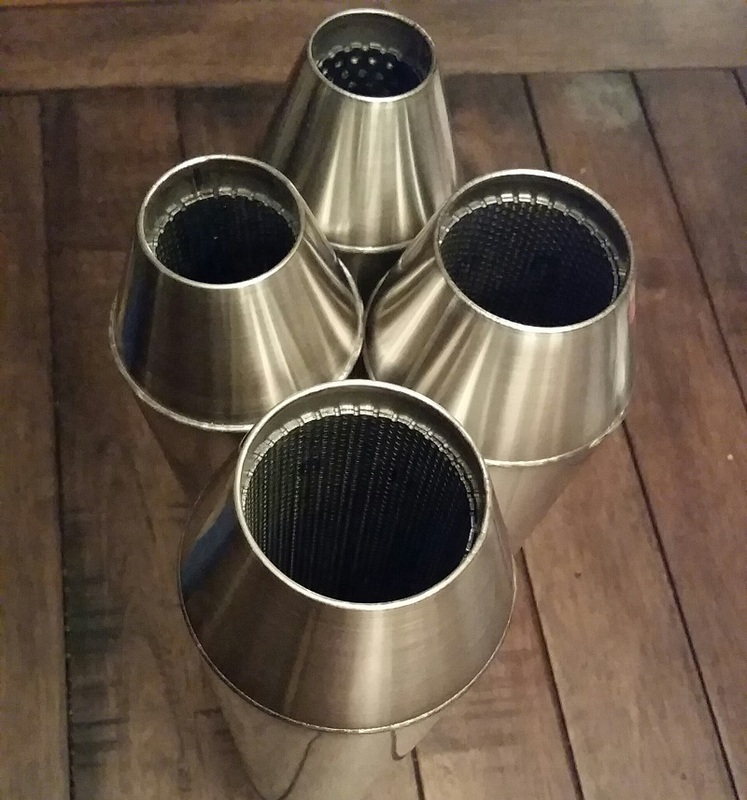 The quality that we have come to expect from Arrow Exhaust is nothing but outstanding. This GP2 exhaust is no exception. High quality materials, precision tig welded and outstanding finish on all their systems. 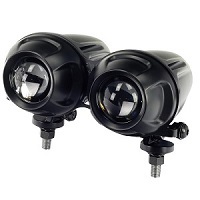 The Motogadget M-Blaze Disc Barend Turn Signal is the lastest generation of turn signal lights from Motogadget. The characteristics feature of the LED turn signals is the transparent light emitting disc on a compact aluminum base providing the harmonious finish of the handlebar end. 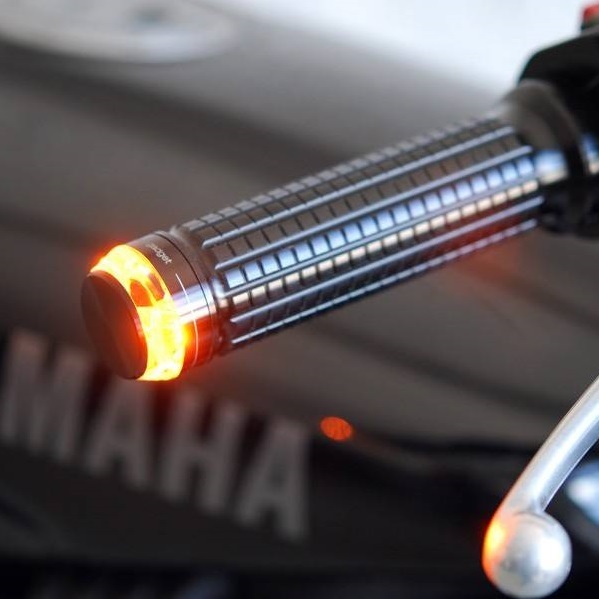 This is already the third generation of Motogadget turn signals using the Motogadget patented TranzLight-Technology. This progressive approach to development is not limited to the miniaturization of turn signals casing. Furthermore, it creates new lighting concepts directly through a crystal like plastic body. Only the precision CAD calculations and state of the art manufacturing processes allow this new design and its performance opportunities. 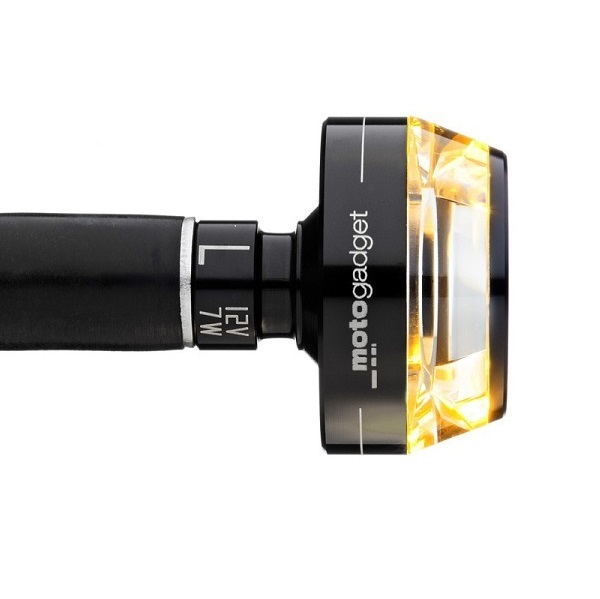 If you are looking for form and function in a turn signal then look no further than Motogadget's line of M-Blaze turn signals. Outstanding quality with exceptional functional is unmatched in the industry. The Motogadget M-Unit V.2 is a digital control unit for your motorbike the 'heart' of the vehicle's electrical system. 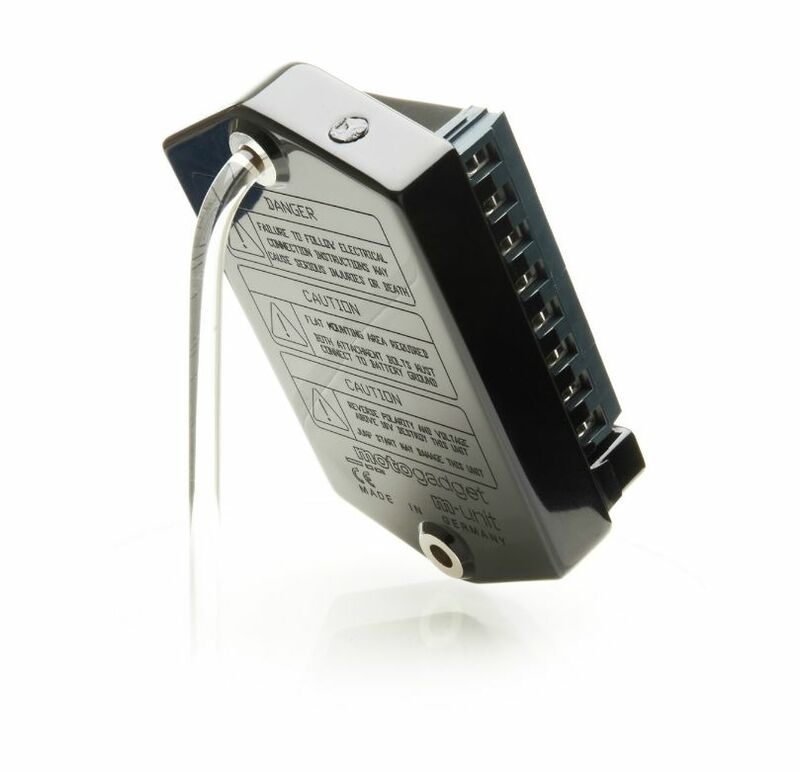 The m-Unit V.2 can be operated by push-button control or conventional switch controls mounted at the handle bar. 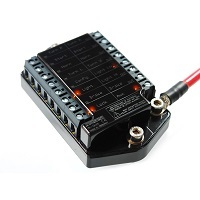 The control box is used for switching of all necessary vehicle components and doubles as fuse panel. Its compact case has the approximate size of a cigarette box and is completely moulded in - resistant to water, weather and vibrations. It is easily mounted by two M5 screws. All cable connections are made using terminal blocks. The m-Unit V.2 is the 'electrical heart' of the motorbike. All switching operations are completely digitally controlled by a microprocessor and the latest solid-state technology - completely without mechanical relays, taking vehicle electrical systems to a new level! 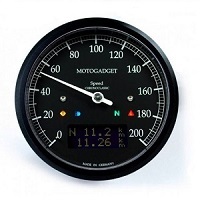 We use the Motogadget M-Units in all our builds and recommend them to every customer. 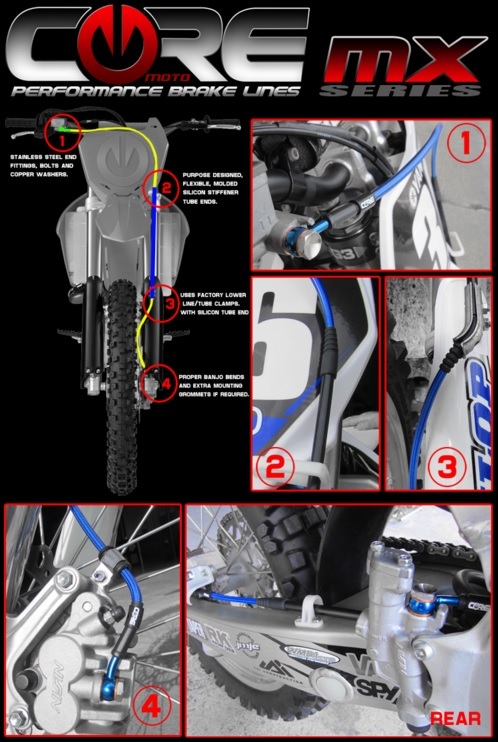 Whether your looking to rewire your bike or to just simplify things, Motogadget has you covered. Core Moto has joined the motorcycle brake industry and has taken it by storm. Core Moto Full brake line kits Front and rear lines with all bolts needed anodized to match the banjo color you specify. In our opinion this is the kit to get and that's why you'll see it on our shop bike on the main page! Core Moto quality is some of the best we have ever seen. 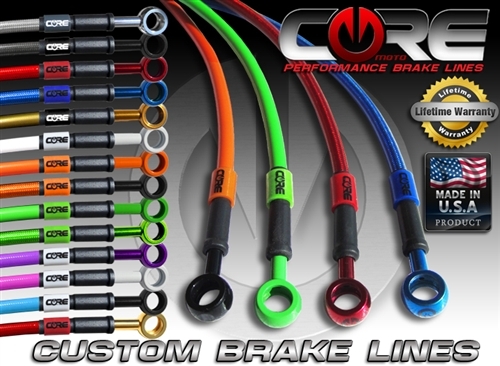 Not only does Core Moto produce OEM fornt & Rear brake line kits, but they will custom make lines for us to your specs. We currently have several Stunt Riders that we sponsor using Core Moto Lines they we have had custom built to their bike. Some of the riders currently using these lines are Combat Barbie and Gstodd Stunts (Gary Stoddard.) These lines were built with precision specs and outstanding quality we have come to expect from Core Moto. Core Moto lines are made to highest quality standards in the industry and use to highest rated materials. Each line comes backed by their lifetime warranty and 100% made in the USA.